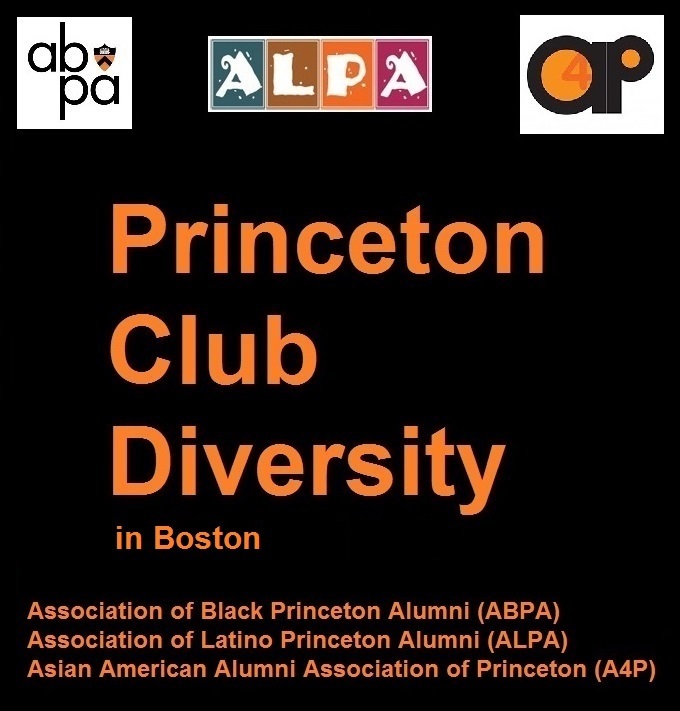 Princeton Club Diversity has been going on for five years in Chicago and two years in Boston! For Princeton alumni of all backgrounds that would like to discuss race-related issues in person, we invite you to join us at Princeton Club Diversity, our monthly series of friendly and inclusive gatherings supported by the Association of Black Princeton Alumni (ABPA), the Association of Latino Princeton Alumni (ALPA), the Asian American Alumni Association of Princeton (A4P), the Princeton Association of New England (PANE), and the Princeton Club of Chicago (PCC). Princeton Club Diversity has been featured in the Princeton Alumni Weekly (PAW) at https://paw.princeton.edu/article/alumni-action-talking-about-race. We are always looking for hosts to commit to a date and select a restaurant, so please email if you are interested in hosting. You can find us easily at our gatherings because we wear Princeton, orange, and black apparel. We look forward to seeing you in person soon!